Fruits and vegetables not only help with stabilizing blood sugar and improving diabetic health, but they also decrease the risk of many other diseases. Among the many, fruits and vegetables decrease the risk of heart disease (the most prevalent disease in America). If you aren’t a big fan of either fruits or vegetables, do NOT worry. I most definitely was not always a fruit and vegetable lover. Improving your diet and making lifestyle changes takes quite a bit of time to adjust, but when individuals ask how I started eating healthier, one quick trick comes to mind. SMOOTHIES! Why? Because smoothies are nutrient dense, quick, and most importantly, delicious! Below are the necessary steps to consistently build the best smoothie for YOU. Remember, healthy doesn’t have to mean steamed broccoli and boring, repetitive dishes. Smoothies can be made in all varieties; So, mix it up and have a little fun! 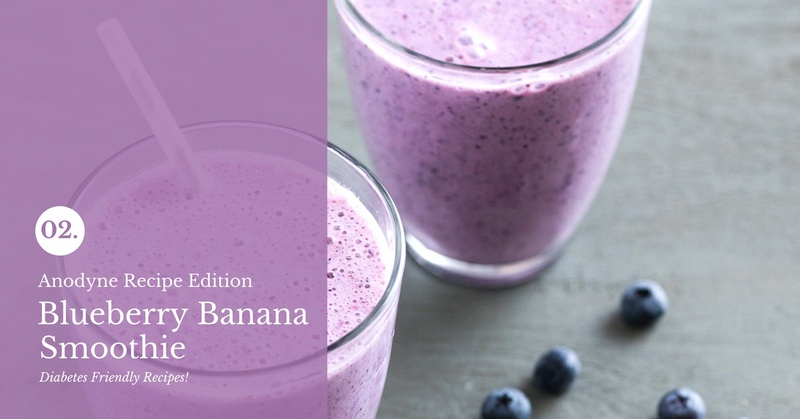 Fresh-fruit smoothie packed with nutrients, antioxidants, and superfoods. This smoothie is the "silver bullet" for improving your health! Place all ingredients in the blender and blend until smooth. Enjoy!